Last week the Huffington Post ran an in-depth expose on how for-profit colleges like Everest College (Corinthian College Inc.) and Sanford Brown (Career Education Corp.), who recently closed Milwaukee campuses, have created an accreditation system that ensures their continued operation and access to billions in federal funds despite dismal job placement and graduation rates. It's a classic case of the fox guarding the chicken coup or, as they say in more polite company, a blatant conflict of interest that allows the hucksters who open these diploma mills to rake in millions while leaving students with nothing but broken dreams, credits that don't transfer and life-long debt. Over the past decade, Corinthian's schools have remained fully accredited, enabling the publicly traded company to tap federal student aid coffers for nearly $10 billion, or more than 80 percent of its total revenues, according to a Huffington Post review of securities filings and disciplinary records maintained by its accreditors. By every available indication, Corinthian Colleges Inc., one of the country's largest chains of for-profit colleges, stands out as an institution whose students face especially long odds of success. At nearly half of Corinthian's schools, more than 30 percent of students default on their federal loans within three years of leaving campus, according to the most recent federal data. California last year cited excessively high default rates in denying access to state tuition grants at 23 of the company's campuses. Over the last three years, attorneys general in eight states and the federal Consumer Financial Protection Bureau have probed Corinthian's recruitment claims and financial aid practices, raising the prospect of lawsuits. Yet by the reckoning of the accrediting bodies that are supposed to scrutinize Corinthian's 97 U.S. campuses, its schools are meeting standards on student debt and adequately preparing graduates for jobs. Corinthian's success in maintaining accreditation even as its students sink into default typifies the state of play in the for-profit college industry and underscores both the incentives and the provenance of the people doing the accrediting work: Accrediting agencies receive their funding from fees paid by the very colleges they monitor. The review teams they dispatch to visit and rate schools are composed of volunteers from other schools accredited by the same agencies. During a congressional hearing on higher education policy held earlier this year, one expert likened this arrangement to the cozy practices that fueled the last financial crisis, when Wall Street banks hired credit-rating agencies to certify the sanctity of the bonds they forged from risky mortgages. "This is like bond ratings firms giving AAA ratings to mortgage-backed securities sold by the same firms that pay their fees," Kevin Carey, the director of education policy at the New America Foundation, said at the hearing. "It does not work out well in the long run." Politifact did it again. Minnesota is superior to Wisconsin on all economic performance measures except business climate indices. So how does Politifact rate a Minnesota Legislator’s claim that Minnesota is outperforming Wisconsin? Rather than acknowledge that Minnesota is experiencing faster growth (3.5% to 1.5%) with higher incomes (Minnesota's per capita income is $4500 more than Wisconsin's), more jobs (between July 2012 and July 2013 Minnesota created twice as many jobs as Wisconsin) , and lower unemployment (5.2 percent, nearly one-quarter lower than Wisconsin’s 6.8 percent. ), Politifact rates the statement half true because Wisconsin scores better on some business climate and competitiveness indices. Since Minnesota leads Wisconsin in all the economic measures that matter. what this really tells us is that business climate and competitive measures which are subjective and heavily weighted toward states with low tax rates and minimal regulations are of virtually no value. A meeting between the University of Wisconsin Board of Regents and state legislators last week was designed mainly to find common ground in the wake of recent disputes over cash reserves. But discussions during the meeting about rethinking shared governance had some faculty feeling like they were left holding the bag for administrators' actions – and that their decision-making authority within the system was under threat. The conference, “Finding Common Ground: Regent Governance, Funding, and Partnerships for Wisconsin’s Public University System,” was initiated by the board, following a state audit this spring that showed the university system had cash reserves of $648 million, about a quarter of its annual appropriation. The funds were distributed among many accounts across the system and the funds had gone virtually unmentioned to state officials. While many state higher education systems use reserves, the issue highlighted legislative-board relations. System President Kevin Reilly, who has been in office since 2008, recently announced that he will be stepping down in January. During a panel discussion on board governance, however, legislators took the opportunity to start a discussion about the role of the faculty in decision making. Vos added: "Does the role of allowing faculty to make a huge number of decisions help the system or hurt the system?" Some faculty advocates present, including Sara Goldrick-Rab, associate professor of educational policy studies and sociology at the Madison campus, where the meeting took place, called those statements troubling. Taking faculty out of the decision-making process to save time and money is misguided, she said, citing a 2012 American Enterprise Institute study that will be included in a forthcoming volume from Harvard Education Press on stretching the higher education dollar. The study, by Robert E. Martin, Centre College emeritus professor of economics, shows that college costs continued to grow even as faculty say in institutional priorities declined, nationwide, from 1987 to 2008. It’s also against tradition, said Goldrick-Rab, noting that Wisconsin professors have long enjoyed a strong governance "partnership" with administrators and students, thanks to state statute, under which faculty are guaranteed active participation in shaping institutional policy and responsibility for academic and personnel matters. "The reason I've stayed at Wisconsin is shared governance," Goldrick-Rab said. "It's really important to faculty worklife and quality of education." But the principle has eroded over time, Goldrick-Rab said. And the current political environment in Wisconsin, in which Governor Scott Walker, a Republican, has proposed linking funding for higher education to "performance," doesn't bode well for its future. In public remarks last year, Walker said: "In higher education, that means not only degrees, but are young people getting degrees in jobs that are open and needed today, not just the jobs that the universities want to give us, or degrees that people want to give us?" William Tracy, professor of agronomy at Madison and president of Madison's Public Representation Organization of the Faculty Senate, said he was concerned about Vos's comments, and blamed them in part on what he called a "misunderstanding" of the faculty role in governance. "We've been effective in many, many ways," he said, including increasing graduation rates and decreased time-to-degree for graduate students in recent years. "It's hard to see that we're being inefficient or inflexible or not 'nimble,' or stodgy, if you will." Like Goldrick-Rab, Tracy said that while including faculty in governance can slow down the decision-making process, it often leads to better decisions. Randy Olson, professor of astronomy and chair of the Stevens Point campus Faculty Senate, said in an e-mail that Madison faculty members "are not the only ones that are upset." "Most of my colleagues believe that one of the real strengths of the University of Wisconsin System is its shared governance where we have a collaborative approach with faculty and administrators in providing our students the best education possible," he said, adding that the legislature -- "in its earlier days" -- agreed. He compared Vos's wish to make chancellors more like CEOs to making governors more like CEOs, diminishing the role of the legislature in governance. Julie Schmid, chief of the staff for the American Federation of Teachers in Wisconsin, including its higher education component, said in an e-mail that the state law enshrining faculty governance in the university system has "been in both University of Wisconsin System administration's and the Republican lawmakers' sights for a while now." Proposed changes need to be seen as "part and parcel" of Walker's 2011 overturning of collective bargaining for public employees, including faculty and staff, said Schmid, who will soon be the head administrator of the American Association of University Professors. "This is all about the further corporatization of public higher ed in this state and the further privatization of a common good [...] and it puts the [university] outside of the norm for U.S. higher ed." Tracy said he believed that Wisconsin's system of shared governance wouldn't let faculty down, and that he was looking forward to a dialogue with legislators and administrators going forward. Vos did not immediately respond to requests for comment. Reilly could not immediately be reached for comment. State Senator Sheila Harsdorf, chair of the body's Committee on Universities and Technical Colleges, last week agreed with Vos that governance practices needed to be reexamined and that "the system needs to be driven by the campuses with the campuses driving what services the system provides." In an interview, she said that she was more interested in rethinking the higher education funding model than the role of the faculty in governance, but that better systems of "accountability and measurement" are needed. Lots of communication between on and off-campus constituencies, including "those who are creating the jobs and providing job opportunities for graduates," is needed to develop those systems, Harsdorf said. Some of the board's meeting pertained to links between universities and businesses. Keynote speaker Charles Reed, chancellor emeritus of the California State University System, said, "[We] want to understand what employers need from our graduates and what legislators expect from our institutions so we can prepare our students to be successful in their workplace." Goldrick-Rab and others said they believed it was an unofficial endorsement of a more outcomes-based curriculum that focuses on job preparation at the expense of the liberal arts. State Rep. Janet Bewley, a Democratic member of the Assembly’s Education Committee, challenged some of her fellow legislators' opinions last week, saying to those gathered: "What I want to prevent is a whole new set of cooks going into your kitchen, people who are not academics trying to run your campuses." In an interview, Bewley said Walker's vision for higher education enjoys more than marginal support in the legislature, and that shared governance -- along with support for the liberal arts -- is potentially vulnerable. She didn't know of any specific threats, she said, but "I think right now all of us are going to be wise enough to carefully watch what happens in the months to come." Some faculty advocates praised Richard Wells, chancellor of the Oshkosh campus, for telling those gathered last week that campuses are communities, not corporations. In an e-mail, Wells said shared governance "is and will be increasingly under threat in Wisconsin and throughout the nation in large part because the higher education financial model is broken resulting in, among other things, the affordability and student debt crises. " Faculty, staff, students and administrators must defend the principle through efficient and effective service of the system's mission and values, he said. "I am confident we will be successful together in the long run because we have a long Wisconsin legacy of addressing very difficult challenges," Wells said. "However, the short run ride is going to be tough. Stay tuned." Five years after Lehman Brothers collapsed, Nobel Prize winning economist, Paul Krugman concludes that: ".. by any objective standard, U.S. economic policy since Lehman has been an astonishing, horrifying failure." 50 years ago today, 250,000 Americans marched for jobs and freedom. When Dr King gave "the speech," the unemployment rate was 5% for whites and 10.9% for blacks, Today, it is officially 6.6% for whites and 12.6% for blacks. Middle class union jobs are vanishing. The fastest growing jobs pay poverty wages. In the tradition of Dr. King and those who marched fifty years ago, fast food workers will conduct a national strike for higher wages and a union tomorrow, Thursday, August 29. And immigrant workers and youth, dreamers, are engaged in a righteous struggle for immigration reform with a path to citizenship. And Wisconsin's public sector workers are fighting to restore their basic rights at work. We have unfinished business in this country. Dr. King understood that "without struggle there is no progress." That is no less true today than it was fifty years ago. One way to honor the legacy of the march on Washington is to support the low wage, public sector and immigrant workers today by attending the Milwaukee march and picnic on Labor day, Monday, September 2nd. There are two marches. One leaves from South 5th Street and Washington, the Voces de la Frontera offices, and will march across the viaduct to Zeidler Park, 6th and Michigan. The other leaves from Martin Luther king Drive and Vine and also ends at the picnic at Zeidler Park. The struggle continues. Both begin at 11 am. One of the largest U.S. for-profit college corporations agreed to pay more than $10 million Monday to settle the state of New York's claim that the company systematically deceived students by advertising bogus job placement rates at its career-oriented schools. New York Attorney General Eric Schneiderman announced a $10.25 million settlement agreement with Career Education Corp., which includes a $1 million penalty and assurances that the school will establish a $9.25 million restitution fund for students who were misled from the 2009-2010 school year to 2011-2012. The company which owns Sanford Brown which closed its West Allis campus in the spring admitted no wrongdoing. Monday's announcement concludes a more than two-year investigation by the New York Attorney General's office into what it said were misleading advertisements and inflated job placement statistics at Career Education Corp., a Chicago-area company that operates more than 90 college campuses across the world. The company and other for-profit colleges have come under intense government scrutiny in recent years, amid evidence that many students are left with crushing debts and poor job prospects. Sanford Brown was one of the Milwaukee area's most notorious diploma mills. Several Milwaukee Area Technical College students' compelling testimonies regarding Sandford Brown's exploitative practices were presented at the U.S. Department of Education's Minneapolis Gainful Employment hearing in June. According to the findings in Monday's settlement document, Career Education lied to prospective students and to regulators when advertising the percentage of students successfully placed in jobs after graduation -- a marketing technique that allowed the company to boost enrollments and revenues to record highs in recent years. The settlement claims that the company advertised job placement rates of 55 percent to 80 percent at its schools in New York, when the placement rates were actually 24 percent to 64 percent. In addition to Sanford Brown, the schools included Briarcliffe College and online enrollments through American Intercontinental University and Colorado Technical University, according to the settlement. Career services employees at the company received bonuses if they could achieve certain job placement rates, creating incentives for employees to cut corners when documenting how many students got jobs after graduation, according to the settlement documents. For example, some career services employees counted students as being "placed" if they participated in a one-day community health fair, even if they weren't hired by companies at the fair. A criminal justice graduate who worked as a data processor for a company that handled parking ticket data was counted as being employed in that "field" because the graduate dealt "with the courts" when processing parking ticket data, according to the settlement documents. The settlement alleges that "high-level" career services managers at the company's headquarters "explicitly condoned and even encouraged" such gimmicks to boost placement rates. By inflating the job numbers, Career Education Corp. avoided scrutiny from outside college accrediting groups, which require schools to meet certain thresholds. Accreditation is a key requirement for colleges to remain eligible to receive federal student loan and grant money -– crucial revenue for the for-profit firms. The settlement also said that Career Education Corp. failed to tell students that degrees from certain programs would not allow them to take state licensing exams after graduation, significantly hindering a student's ability to get jobs in fields like medical ultrasound. The job placement scandal has led to significant changes at Career Education Corp. After the New York Attorney General's office issued a subpoena in 2011, the company hired an outside legal firm to audit its career placement office. Auditors found widespread problems, which led to the resignation of the company's chief executive, Gary McCullough, in November 2011, and the firing of 15 career services employees. McCullough nevertheless received more than $3.6 million in severance. A spokesman for Career Education Corp., Mark Spencer, wrote in an email Monday that the company was "pleased to have reached a settlement." "This agreement closes an important chapter and allows us to move forward with a heightened focus on student outcomes," Spencer said. "We remain committed to continually advancing our culture of adherence to legal, regulatory and accreditor requirements, and we're a stronger organization for having addressed these concerns." In addition to the financial penalties, Career Education Corp. agreed to hire an outside auditor to independently verify all job placement rates for three years at its New York schools and report back to the New York Attorney General's office. The company must provide new disclosures for its New York programs that clearly state job placement rates, and must phase out any New York programs in which degrees do not allow students to take licensing exams after graduation. The company will provide a list of students who attended certain New York programs from the 2009 through 2012 school years, and they will be eligible to claim money from the $9.5 million settlement fund the company is creating. The settlement is one of the largest restitution funds created for students allegedly defrauded by a for-profit college. The California Attorney General's Office reached a settlement with Corinthian Colleges Inc. in 2007 that resulted in a $5.8 million restitution fund. Enrollments at Career Education Corp. schools have plummeted over the last two years, from more than 114,000 at the end of 2010 to 76,000 at the end of last year, according to securities filings. The Securities and Exchange Commission is investigating Corinthian Colleges Inc., the for-profit chain disclosed Monday in a corporate filing. Corinthian is the parent company to Everest College, a for-profit chain of technical colleges that has abysmal graduation and job placement rates. In a subpoena, the commission requested documentation relating to student recruitment, attendance, completion, placement and defaults on loans, according to the company, as well as information about compliance with U.S. Department of Education financial requirements. Corporate profit has been soaring for years at workers' expense and a decline in union membership is to blame -- not a rise in technology, a new study found. The jump in corporate profit over the past few decades can be explained largely by a decline in union membership over the same period, according to a study by Tali Kristal, a sociologist at the University of Haifa in Israel. The boost in companies’ bottom line comes at workers’ expense, Kristal wrote in an email to The Huffington Post. The findings, published Thursday in the American Sociological Review, add a new dimension to the debate over income inequality in the U.S., suggesting that policies aimed at boosting unions may help. Corporate profit soared to a record high share of the economy earlier this year, according to Bloomberg, while workers' wages have remained largely stagnant. The rise in profit comes as union membership has dropped to a record low. Kristal’s findings contradict claims that increased computerization largely accounts for the boost in corporate profit at the expense of workers. Kristal argued that the rise of machines is only indirectly to blame, because technology has reduced union workers by replacing some union jobs with automation, directly increasing corporate profit. “If we want all workers to benefit from the economic growth, then policymakers can initiate some steps to strengthen unions, such as pro-union reforms of labor law, and deterioration with employers' illegal anti-union tactics that increasingly spread over the last decades,” Kristal wrote. Indeed, other analyses, including one from the left-leaning Economic Policy Institute, have found that that the drop in union membership in recent decades correlates with the rise in inequality during the same period. That dynamic could be problematic for the U.S. economy as a whole, Rees said, as middle-class Americans burdened by debt and slow wage growth buy less and hold back the recovery. American Commercial Colleges Inc. (ACC) has agreed to pay the United States up to $2.5 million, plus interest, to resolve allegations that it violated the civil False Claims Act by falsely certifying that it complied with certain eligibility requirements of the federal student aid programs, the Justice Department announced today. To maintain eligibility to participate in federal student aid programs authorized by Title IV of the Higher Education Act of 1965, for-profit colleges such as ACC must obtain no more than ninety percent of their annual revenues from Title IV student aid programs. At least ten percent of their revenues must come from other sources, such as payments from students using their own funds or private loans independent of Title IV. Congress enacted this “90/10 Rule” based on the belief that quality schools should be able to attract at least a portion of their funding from private sources, and not rely solely upon the Federal Government. The civil settlement resolves allegations that ACC violated the law when it orchestrated certain short-term private student loans that ACC repaid with federal Title IV funds to artificially inflate the amount of private funding ACC counted for purposes of the 90/10 Rule. The short-term loans at issue in this case were not sought or obtained by students on their own; rather, ACC orchestrated the loans for the sole purpose of manipulating its 90/10 Rule calculations. Under the False Claims Act settlement, ACC, a privately-owned college operating several campuses in Texas, will pay the United States $1 million, plus interest, over five years, and could be obligated to pay an additional $1.5 million under the terms of the agreement. “Misuse of taxpayers’ dollars cannot be tolerated – not only for the sake of taxpayers, but especially in the case of innocent individuals who seek to improve their lives through a quality education,” said U.S. Attorney for the Northern District of Texas Sarah R. Saldaña. Today’s settlement resolves allegations brought by Shawn Clark and Juan Delgado, former directors of ACC campuses in Odessa and Abilene, respectively, under the whistleblower, provisions of the False Claims Act, which permit private citizens with knowledge of fraud against the government to bring an action on behalf of the United States and to share in any recovery. Messrs. Clark and Delgado will receive $170,000 of the $1 million fixed portion of the government’s recovery, and would receive an additional $255,000 if ACC becomes obligated to pay the maximum $1.5 million contingent portion of the settlement. This case was handled by the Civil Division of the Department of Justice, the U.S. Attorney’s Office for the Northern District of Texas; and the Department of Education’s Office of Inspector General and Office of General Counsel. The lawsuit is captioned United States ex rel. Clark, et al., v. American Commercial Colleges, Inc., No. 5:10-cv-00129 (N.D. Tex.). The claims settled by this agreement are allegations only, and there has been no determination of liability. Fed says Wisconsin's economic performance one of nation's worst! 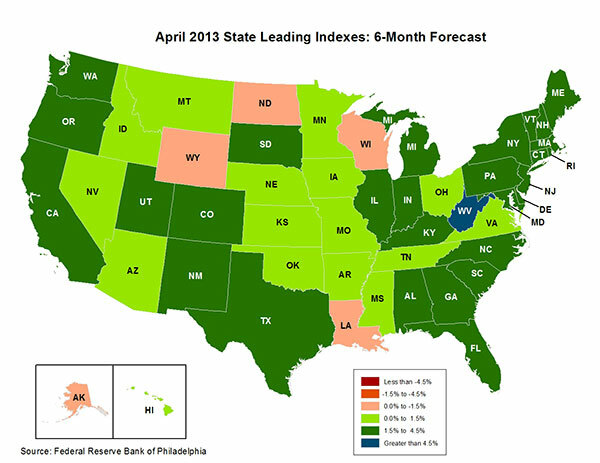 The Federal Reserve Bank of Philadelphia has released its six-month economic forecast for the nation's 50 states. Wisconsin is one of only five state's (Alaska, Louisiana, North Dakota, Wisconsin, and Wyoming) whose coincident indexes are projected to decrease. Forty-five states, including Illinois and Minnesota, both of which raised tax rates on high income earners recently, are projected to grow. Walker's austerity economic policies are not working. My name is Michael Rosen and I have been an economics professor at Milwaukee Area Technical College for twenty-six years. MATC is one of the largest two- year colleges in the nation with 50,000 students, the majority students of color and economically disadvantaged. I am appearing before you today to urge you to develop a strong gainful employment rule to ensure that students who attend college with noble academic and employment aspirations are not left unemployed or underemployed with huge debts they have no possibility of paying back. I have become an advocate for a gainful employment regulation based on my own experience and that of literally dozens of former for-profit college students I have met. Three years ago I read an article in Milwaukee’s local paper about a new technical college that was planning to open a block and half from MATC. That piqued my interest because I wondered why Everest College, which I had never heard of, would want to locate so close to the state’s largest, public technical college. So I did some research and was shocked to learn that Everest, a subsidiary of Corinthian College Inc., was mired in controversy over poor graduation and job placement rates; that its credits didn’t transfer to most colleges and universities; and that its students had incredibly high student loan default rates. I also learned that Everest was the subject of several lawsuits and investigations and had recently settled with the state of California for almost $7 million. I contacted the city council person, Milele Coggs, who represented the district Everest wanted to locate in. She was equally concerned and asked me to testify at a Board of Zoning Appeals hearing on Corinthian’s request for a zoning change so they could begin construction. Upon hearing our concerns about Everest’s record, the Board held their decision over for a full public hearing. Corinthian representatives threatened that if they did not receive immediate approval the redevelopment deal would die. That proved to be an idle threat, but representative of their corporate culture. A hearing was finally called for February 2010. Corinthian spared no expense, hiring one of the city’s most expensive public relations firms andpressuring the Chamber of Commerce to hold a public meeting to promote their venture. Their representative asked me what Corinthian could do for me to get me to stop opposing their project. Opposition to Everest had grown, including the resident’s council representing the housing project next to Everest’s desired location, the NAACP, seven aldermen, the MATC District Board and a local Latino organization, Voces de la Frontera. Nonetheless, the Board of Zoning Appeals approved the project, which was subsidized with $11 million in interest free bonds. But a spotlight was now on Everest when it opened in the fall of 2010. More than half of the 1,585 students who enrolled since October 2010 when the school opened dropped out. Everest placed only 95 students by the end of July—less than 6 percent of enrollees and 25 percent of its graduates. By comparison, according to the Wisconsin Technical Colleges’ annual Graduate Follow-up Report, 88 percent of the 2011 graduates were employed within six months of graduation and 71 percent were employed directly in their field of study. At the time its closing became public, Everest had only 300 studentsenrolled. At the behest of the Education Approval Board, a Wisconsin regulatory body, it agreed to pay the educational loans of the 827 dropouts, assuming they can be located, and those of any of the 300 students who didn’t make it to the end of March. The debt is estimated at $3.7 million. The mayor sent a letter requesting that Everest pay the loans of those who had graduated. But Everest did not agree. The school is now closed and there are hundreds of former Everest students who are left with broken dreams, no jobs and huge debts. One of them is Michelle Reise whose full testimony I have supplied to this committee. Her experience is like many others who have been lured into attending for-profit colleges by the promise of an accelerated academic program that will lead to immediate and gainful employment. These are just a sample of the testimonies I have submitted. But all of them indicate that students, many of whom have no experience with higher education, are lured into enrolling in for-profit colleges by aggressive recruiting and marketing techniques, the promise of accelerated classes and effective job placement services, and high paying employment. Yet they wind up with their dreams destroyed, credits that do not transfer, huge debtsthey cannot possible pay back, and no gainful employment. The reason there are so many dissatisfied students, multiple lawsuits, andthirty-two state Attorney General investigations is that their business model is focused on misleading and aggressive advertising and recruitment, paid for by procuring government loans for students. It is confirmed by the Department of Education that for-profits enroll only 9.6% of higher education students, but capture almost a quarter of all federal financial aid. Equally alarming, they are responsible for almost half of all student loan defaults. Because for-profit colleges’ goal is profit not placement, their primary concern is getting students signed up, not educating them, securing internships or clinical experiences, or finding them jobs. They have a sordid history of promising jobs and transferability to students, but not delivering anything but crushing debt. Several of the students I have spoken with were counseled to forbear their loans, regardless of their individual financial situation and despite the fact that, depending on the loan, interest could continue to accrue and other repayment plans were available. This widespread practice along with investor reports from for-profits schools like Corinthian suggest a strategy of abusing forbearances to manipulate cohort default rates and thus avoid gainful employment sanctions. I urge the Department of Education to consider this possibility and other evasion tactics documented by groups like The Institute for College Access and Success when writing new gainful employment regulations. A gainful employment rule that ensures that former students, both grads and non- completers, obtain a meaningful education to qualify them for jobs that pay enough for them to pay back their loans without significant hardshipwill protect both students and taxpayers. A debt to income metric will measure whether grads have excessive public and private debt. Both the repayment rate and debt to income standard are reasonable and necessary measures of institutional quality and student success. They protect students in their roles as consumers and as taxpayers. Gainful employment regulations will help ensure that the nation’s Antonias,Carrons, Kylas and Micheles and millions like them who are willing to juggle school, work and family to secure a better life for themselves and their children will not be taken advantage of by unscrupulous career collegesthat provide them no career at all.